"Make way for Knorr Green Santa! He has come bearing the Knorr Promo Pack! 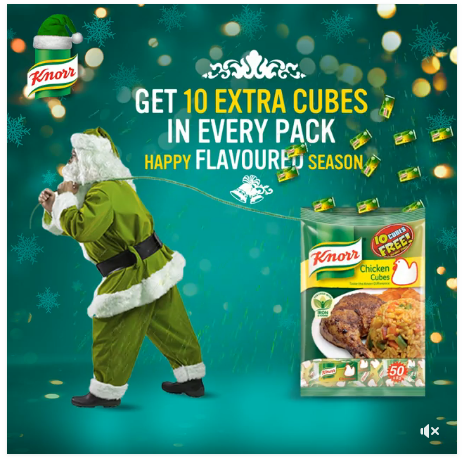 Get 10 extra cubes for any Knorr pack you buy this season. Hurry up and get yours today‎. *Knorr Cube Una no try oh!!! Who else is disappointed about this?? ?